Our Ashton veterinary team understands how much your pet means to you. Their knowledge and experience ensures that your pet is always in good hands. Customer service may be Adam’s passion but his love of animals is long standing. 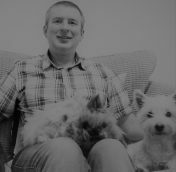 From living on a farm as a child in the Falkland Islands to being surrounded by dogs and cats later on in life in Yorkshire and London, Adam has always been lucky enough to be surrounded by animals. Adam lives with his wife and daughter who share their home with a German Pointer dog and two cats. Albert the dog is the perfect companion for Adam’s outdoor passions of fell running and Mountain Biking. Allisdhair graduated from Glasgow University Veterinary School in 1985 and has since worked in small animal practices. He is a general practitioner and is confident in treating many medical and surgical conditions affecting dogs and cats by applying over 30 years of experience and keeping up to date with regular continuing professional development. He is committed to improving the quality of service offered by vets to their clients, using evidence based treatments and supporting younger colleagues in their development in the profession. Outside of veterinary medicine, Allisdhair enjoys walking his 3 legged black Labrador, Jess, who is an inspiration to all who meet her! He is also a member of the Cheshire Artists Network and regularly exhibits his photography. Allisdhair is also a accomplished runner and has run 20 marathons and over 40 half-marathons. Kylie has always wanted to be a Veterinary Nurse since she was little and she has been working with animals since 2002. She volunteered at the local RSPCA rehoming centre for three years and has been working in Veterinary Practice since 2004, qualifying in 2008 from Myerscough College. Kylie has worked in a busy small animal practice for over 13 years. She enjoys all aspects of working in practice with an interest in medical nursing and she really enjoys meeting the clients and doing nurse clinics. Kylie is also our cat Advocate for the practice ensuring that all the cats that visit our practice have as pleasant an experience as possible. Kylie is passionate about teaching and as the Clinical Coach of the practice, loves training the student nurses and helping them to achieve their qualifications. In her spare time Kylie enjoys spending time with her Husband, 2 children and 2 dogs and catching up with friends and family. Craig grew up with his first family pet – a golden Labrador called Max and has always had pets since, currently having a family of four – a cat called Morse, a Westie called Lou and two Angora bunnies Mulder and Scully. 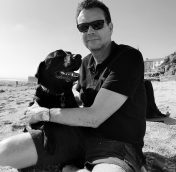 As caring for animals and great customer service are Craig’s strong points, he quickly developed a deep passion for the veterinary industry which made a natural progression to work with animals and be part of something amazing. Inspired by his positive and nurturing nature, Craig is front of house and is happy spending his days keeping pets and their families happy. When he isn’t doing this, you will find him on his computer, under the bonnet of a car or on trips with the family. Carlota was born and trained in Spain. Upon completing her degree in 2012, she came to the UK and has been practising ever since. She has worked in Yorkshire and spent three years in Norfolk as a 1st opinion Vet. After moving to and settling in Manchester, Carlota married another Vet and fell in love with both the city and Mancunian people. Carlota has a special interest in ultrasound and diagnostic imaging, and she is currently studying for a post-graduate certificate in that field. She currently lives with her dog, Uma, and they enjoy days out at the Peak District together. Katarina was born in Stockport, her family are originally from Serbia which has given her the advantage of being bilingual and speaking fluently in Serbian as well as English. Katarina has always wanted to become a qualified veterinary nurse. 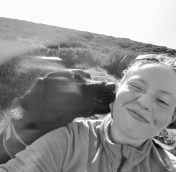 She has been working with animals since leaving school at the age 16 where she began her dream job at Woodcroft vets finishing her Veterinary nursing assistant course. A couple years later Katarina moved to a practice closer to home where she gained a lot of experience. Katarina enjoys learning new things and is very excited to begin her career and starting her training as a nurse. 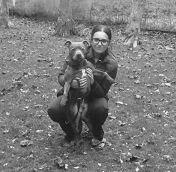 Outside of work Katarina enjoys spending time with her family and her dog Leo, a Staffordshire Bull Terrier. Liz is from Tameside and grew up in Hyde but moved to the West Midlands when she was 16. She studied a level 3 Animal Management course and completed a certificate in Veterinary Nursing Assistance at Halesowen College. Liz moved back home a couple of years later and began working at an emergency vet clinic, where she was for two years before progressing onto a small animal clinic in Manchester. She enjoyed working with all small animals but does have a special interest in exotics. Liz cannot wait to progress her career and start her training as a nurse. Outside of work she enjoys baking and hiking with her best bud Finnley – a beautiful 2 year old rescue Labrador retriever! Ashleigh has been working in veterinary practice’s for a couple of years and is a key part of our receptionist team. She will always welcome you with a warm smile and more importantly make a fuss of your furry friend. In her spare time Ashleigh is a keen horse rider and will often be found at the stables before or after work with her horse Romeo. 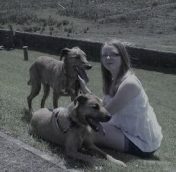 At home Ashleigh has 2 dogs Lola and Mikah who follow her around everywhere. As well as looking after her animals Ashleigh is a Mum to a lovely little girl called Leia Mo who is just obsessed with animals as her mummy is.